On May 29, at approximately 10:12 p.m., a Calcasieu Parish Sheriff’s Office deputy observed Reco Arceneaux, 50, 1716 2nd Street, Apt. A, Lake Charles, sitting in his vehicle in the roadway near the intersection of Beldon and Bank Streets in Lake Charles. When the deputy approached the car and spoke with Arceneaux he observed an open 25 ounce beer on the seat. 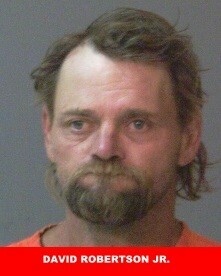 Arceneaux admitted to the deputy that he had been drinking. After performing poorly on the standard field sobriety test, Arceneaux, who has three prior DWI arrests, refused to submit a breath intoxilyzer test. He was arrested and charged with DWI 4th; obstruction of public passages; open container in vehicle; and driving under suspension for DWI 3 rd. 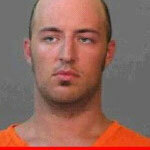 Arceneaux was booked into the Calcasieu Correctional Center. Judge Clayton Davis set his bond at $17,000. CPSO Cpl. Ben White was the arresting deputy on this case. On May 29, at approximately 11:20 p.m., a Calcasieu Parish Sheriff’s deputy conducted a stop on a vehicle on East Houston River Road in Sulphur for a traffic violation. When the deputy approached the vehicle and spoke with the driver, David B. Robertson, Jr., 44, 685 Rushing Road, Sulphur, he detected a strong odor of alcohol emitting from his breath along with slurred speech. 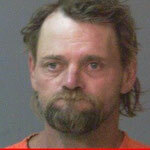 Robertson advised the deputy that he had been drinking several 16 ounce beers prior to driving. After Robertson performed poorly on a standard field sobriety test, he was transferred to the Calcasieu Parish Sheriff’s Office, where a breath intoxilyzer test revealed he was over the legal limit. 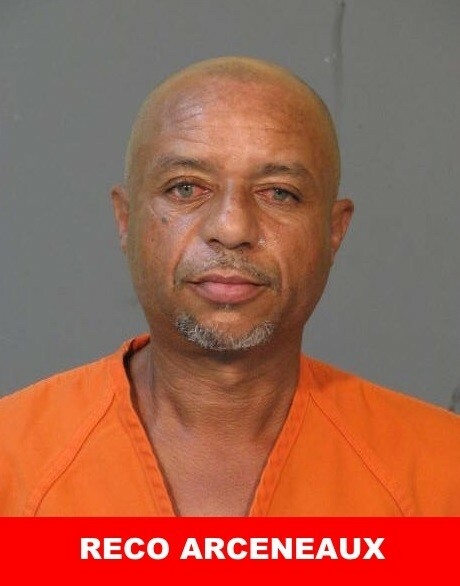 Robertson, who has three prior DWI arrests, was arrested and booked into the Calcasieu Correctional Center and charged with DWI 4th ; improper lane usage; and driving under suspension. Judge Clayton Davis set his bond at $35,000. CPSO Cpl. 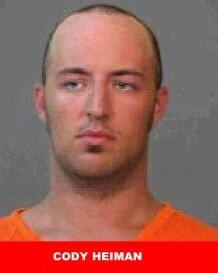 Joshua Fontenot was the arresting deputy on this case. On May 30, at approximately 11:54 a.m., a Calcasieu Parish Sheriff’s deputy conducted a stop on a vehicle on I-10 westbound near mile marker 11 for a traffic violation. When the deputy approached the vehicle and spoke with the driver, Cody Lee Heiman, 29, Lumberton, Texas, he detected a strong odor of alcohol emitting from his breath, along with slurred speech and he appeared very unsteady on his feet. Heiman was also found to be in possession of an open pint of vodka. After Heiman refused to perform a standard field sobriety test, he was transferred to the Calcasieu Parish Sheriff’s Office, where he also refused to submit a breath intoxilyzer test. Heiman, who has three prior DWI arrests, was arrested and booked into the Calcasieu Correctional Center and charged with DWI 4th ; careless operation; and open alcoholic container in vehicle. 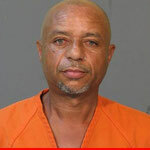 Judge Clayton Davis set his bond at $16,000. CPSO Cpl. Chris Scharp was the arresting deputy on this case.